Use a gel food coloring instead of a liquid. While there is probably a variety of flavored macarons available at your local bakery, a classic macaron recipe only consists of almonds – either in the form of meal or ground finely in your food processor, – powdered sugar, egg whites, granulated sugar and vanilla extract. If you grind your own almonds, make sure they’re fine enough to fit through your mesh strainer, or your macarons won’t have the right texture. This is one reason a traditional macaron has such a light, pleasant flavor. While many recipes for macarons advise you to age your egg whites, Honest Cooking stated that leaving them at room temperature for a couple of hours is all that it takes for a good shell. However, the blog also says that humidity can affect the texture of the shells. 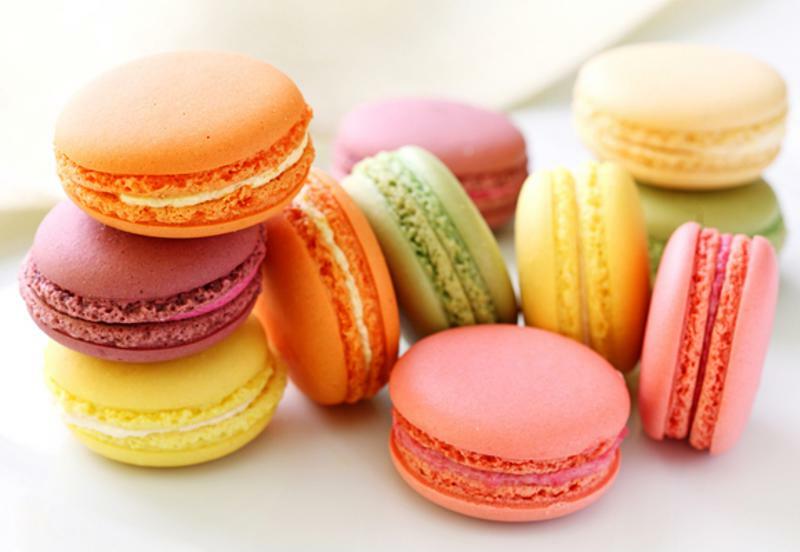 If you want to make your macarons in a variety of colors, you can also use food coloring. Use a gel, though, since liquid affects the consistency of your mix. The technique behind creating the perfect macaron batter has become such an important task that it even has its own name – macaronnage. According to Pop Sugar, to get the right consistency, you need to press the air out of your batter until it’s thick enough to slowly pour. Carefully form the batter into small circles on a baking sheet lined with parchment paper before baking. A macaron isn’t a macaron without the right filling! You don’t want it to overpower the crispiness of the shell, but you don’t want the flavor to disappear either. Serious Eats stated that the perfect ratio of cookie to filling in a macaron is 2:1. While some bakers just use their favorite frosting in the middle, experiment with your own concoctions, like berry compotes or even floral extracts for something even more exotic.